It just wouldn’t be a merry Christmas in the South without these potent little no-bake morsels of comfort and joy. 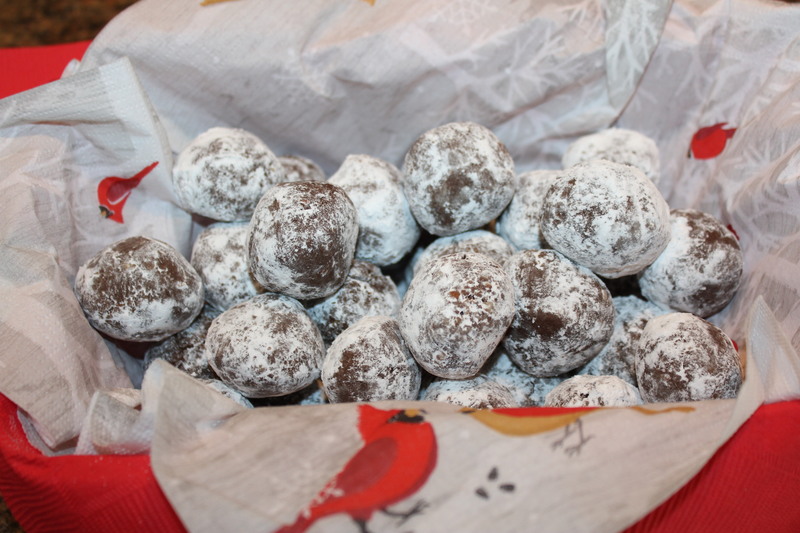 The cool thing about these bourbon balls is that once you have made the basic recipe, you can really make them festive and roll them in powdered sugar, cocoa, finely chopped nuts, coconut flakes, etc. or dip them in melted chocolate. I opted for the powdered sugar for this batch. 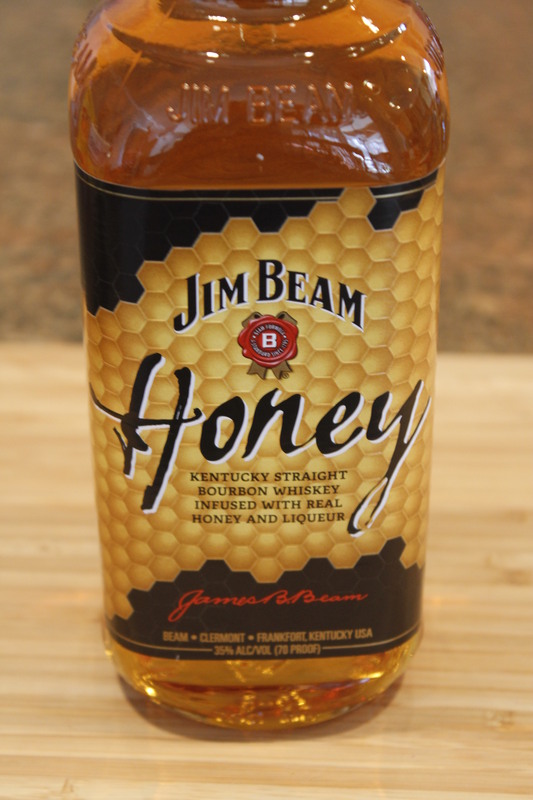 At the liquor store, I came across some Jim Beam® honey bourbon and decided to give it a try. 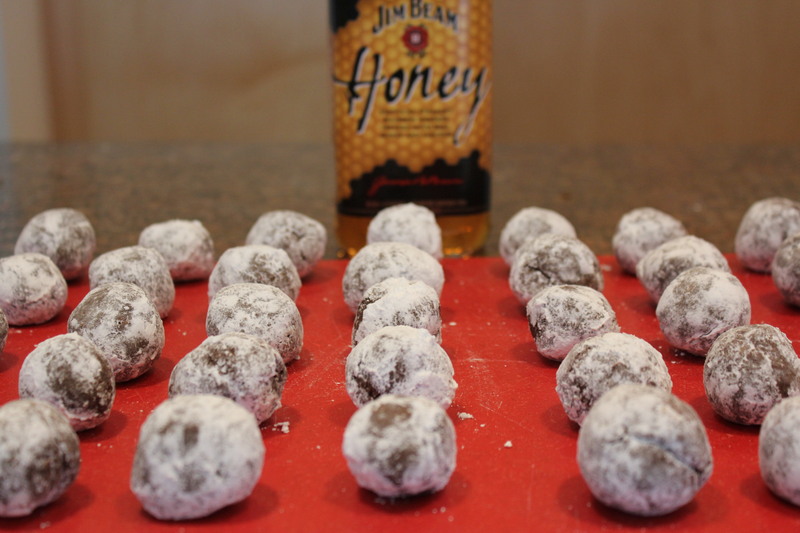 The folks at Jim Beam describe this as “Kentucky straight bourbon whiskey infused with real honey and liqueur” and I thought it would be a sweet addition to the bourbon balls. And I was right! The honey adds a subtle sweetness to the balls. 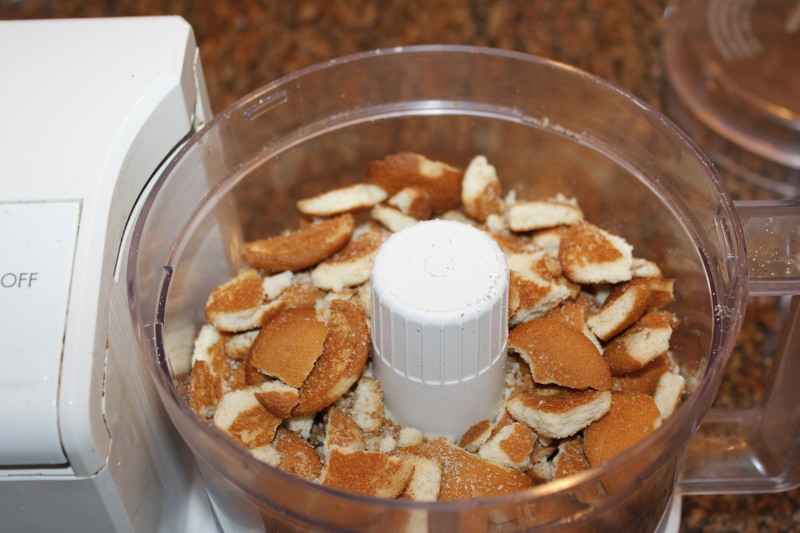 Place vanilla wafers in food processor. 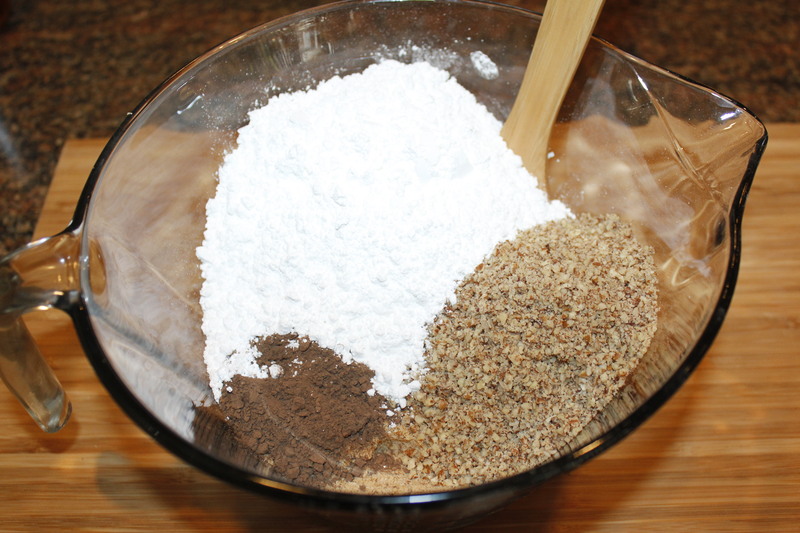 Chop them into a fine powder. 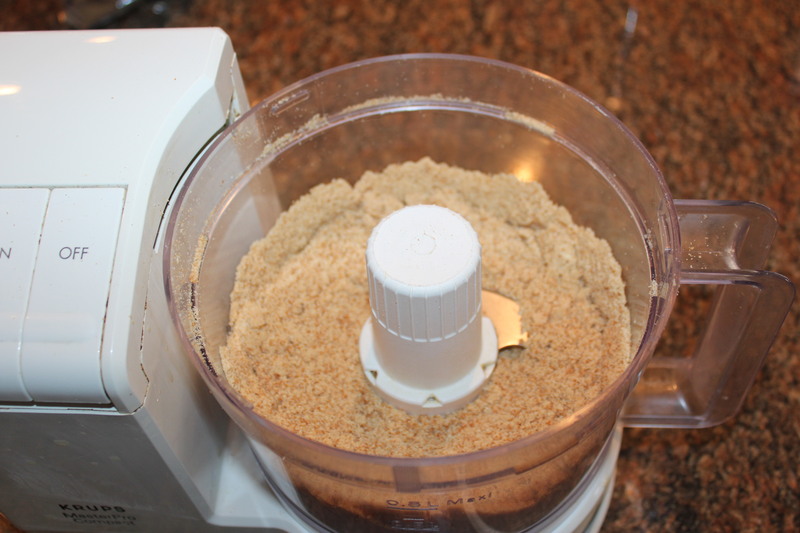 Place vanilla wafers, pecans, sugar and cocoa in a large bowl and mix well. 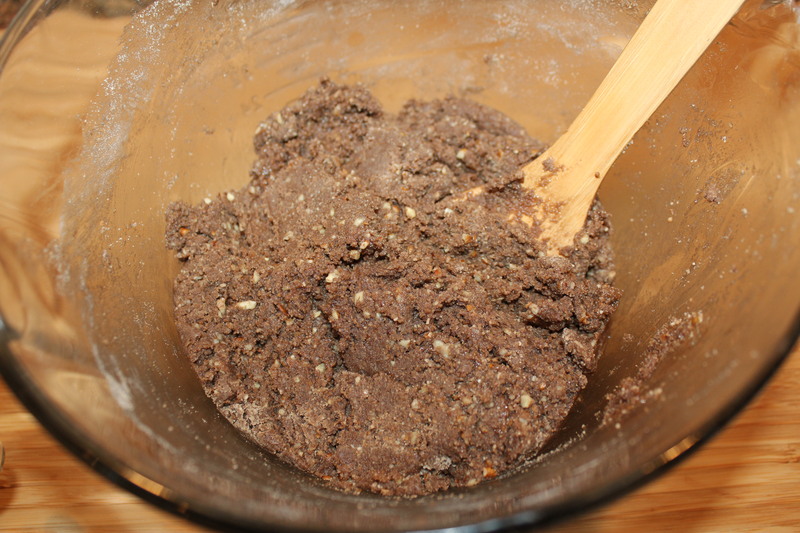 Since there were a few lumps in the sugar and cocoa, I sifted the mixture, which gave the balls a finer texture. 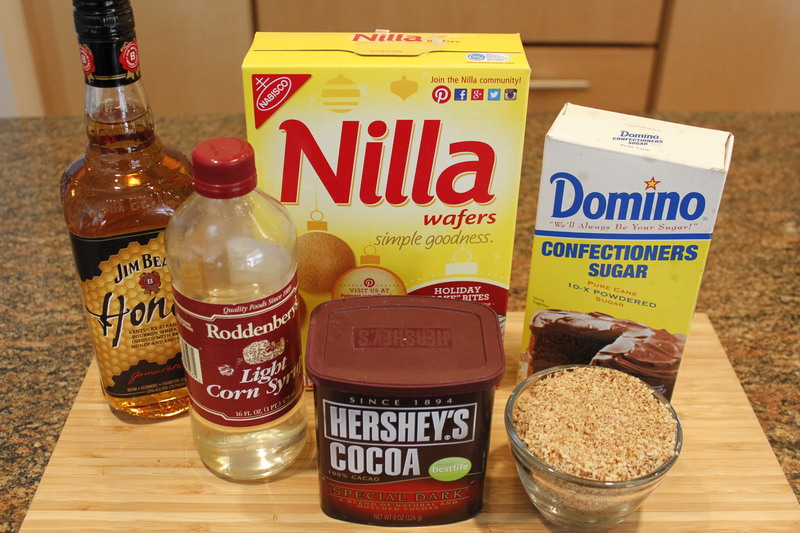 Add the corn syrup and honey bourbon to the bowl and blend together to form a ball of dough. Shape pieces into 1 inch balls. 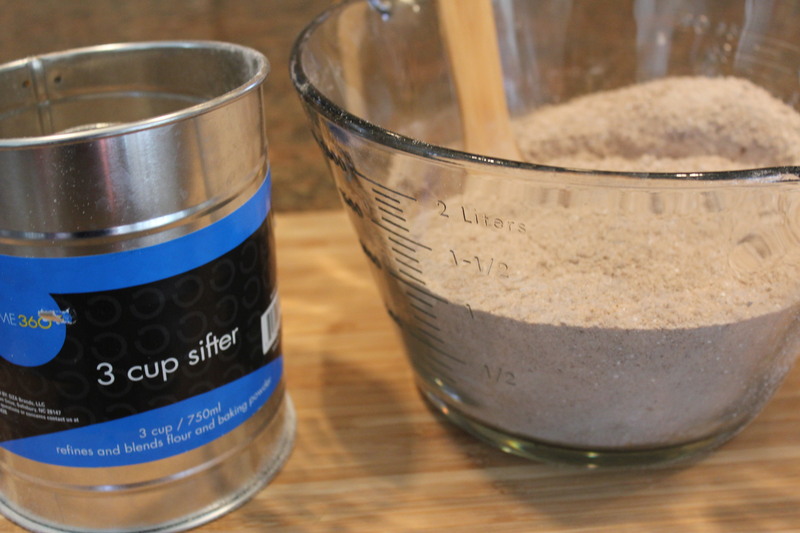 Roll into powdered sugar or topping of your choice. Store in an airtight container. The bourbon tends to mellow some over time, so you may want to wait a couple of days before you serve these or give them as gifts. So that wraps up my Five Days of Cookies. I’m not sure which ones were my favorite — the chocolate oatmeal lace cookies, lemon icebox cookies, Toll House sammies, butterscotch blondies or these bourbon balls. 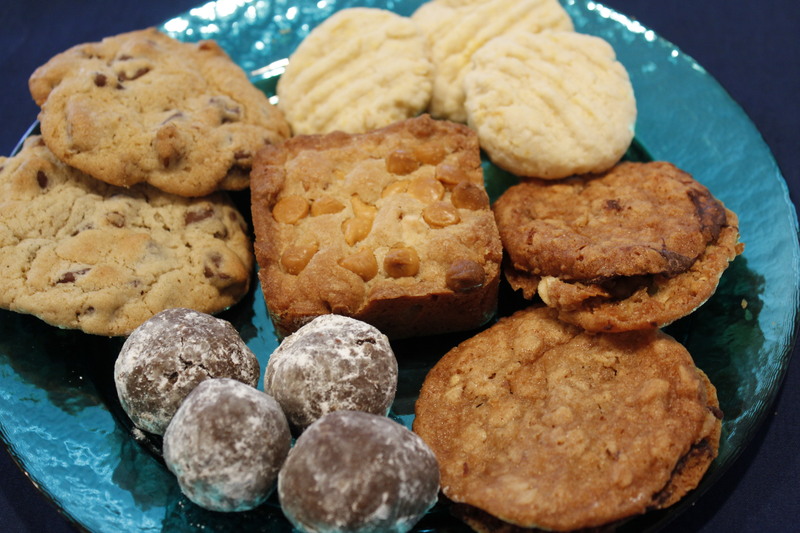 I suggest you make all of them so you and Santa have a variety of delicious choices! 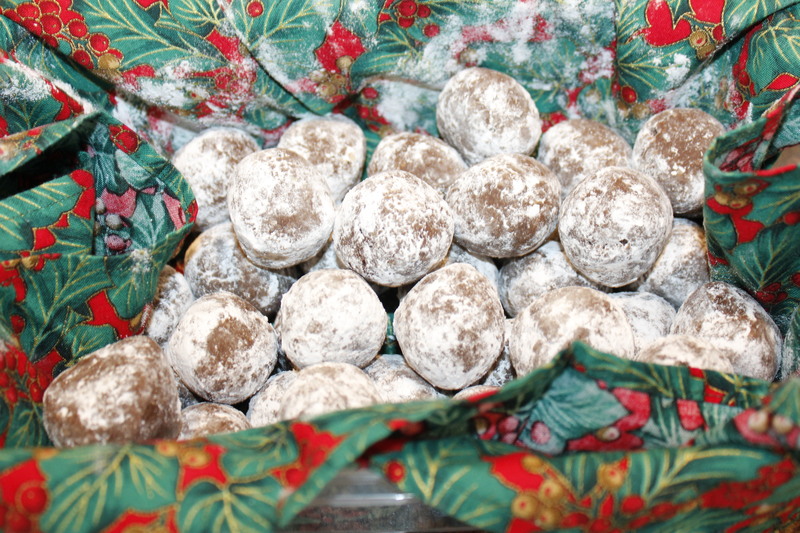 This entry was posted in Desserts, Pampered Chef tools, Recipes and tagged Bourbon ball recipe, eat drink and be merry, Jim Beam honey bourbon bourbon balls, Jim Beam honey bourbon recipe, Kelley Chisholm cookie recipes. Bookmark the permalink.